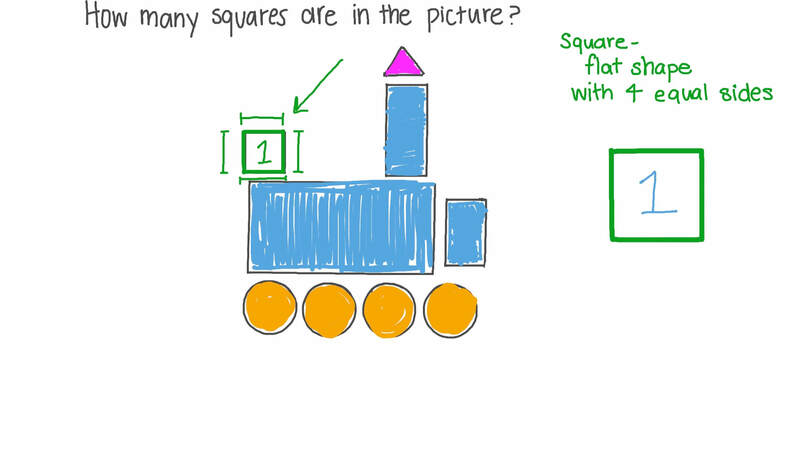 In this lesson, we will learn how to identify squares and rectangles regardless of their orientation, size, or color. Which of these is a square? 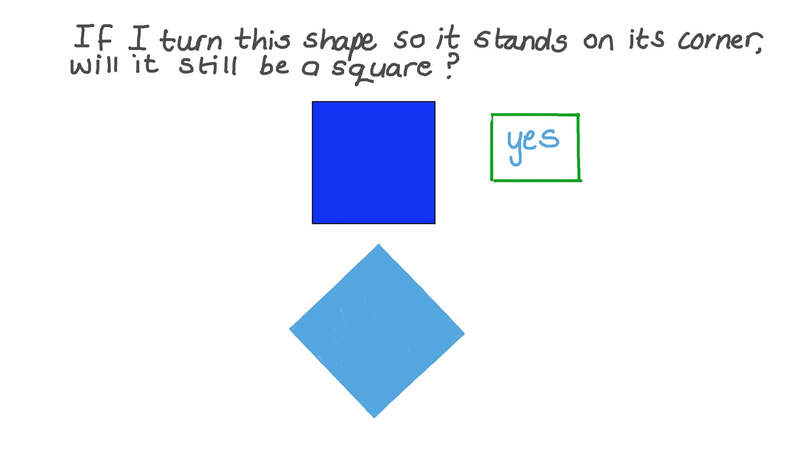 If I turn this shape so it stands on its corner, will it still be a square? This shape has 5 sides. Is it a rectangle? This shape has 4 sides. Is it a rectangle? This shape has 4 sides. One of the sides is curved. Is it a rectangle? This shape has 4 sides. The corners are not the same. Is it a rectangle? This is a square. 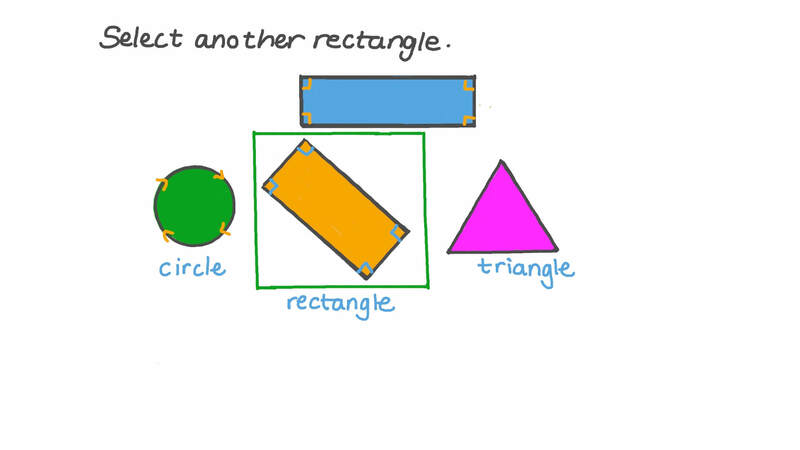 Is it also a rectangle? How many rectangles are in this picture? Count the in this picture. The red shape is a .